After a very successful smoker career, my physical activity restarted in summer 2006 with buying a pair of running shoes and an old used cannondale cycle. 2006: First real run with kids over a distance of 1’000m. Guess who was the fastest? Year by year the goals became more demanding and I obtained the power to go longer and longer. With the professional help of a coach my training got smarter and more efficient. This pic here is 8 years older than the one above when I was racing Swissman – my first long distance triathlon ever. SWISSMAN 2014: My first long-distance triathlon with 5’400m of incline. While building up my own business as a salescoach at the same time, I’ve a lot of parallels and the same demons, people were fighting when leaving their comfort zone. I found out that challenging goals are creating outstanding achievements and that this is exactly the source of motivation I was looking for years. My personal goals got bigger and bigger, year by year. They made me leaving my comfort zone which defined itself new with every single achievement. Some might say that this is some kind of midlife crisis … a smart guy once said “this is the envy of those who didn’t achieve yet. And even if it is, it is actually the best time in my life. Never before I’ve met such great and interesting people and I’ve never been before in such stunning places on earth. It is a fact that fighting your inner weak, this tiny little voice inside of us, can make a big change. It brings us there where magic happens. And that’s a privilege. But watch out, it’s up to yourself and nobody else. When I look back there are so many big moments. Finishes and achievements I am so proud of. It’s the classic way from 10K runs (with 1 week of carbo loading) to sprint triathlons, from olympic distance triathlons to the middle distance. In 2010 everything changed when I finished the Powerman Duathlon in Switzerland. It’s the hilliest and hardest long distance duathlon (10K running, 150K cycling, 30K running). 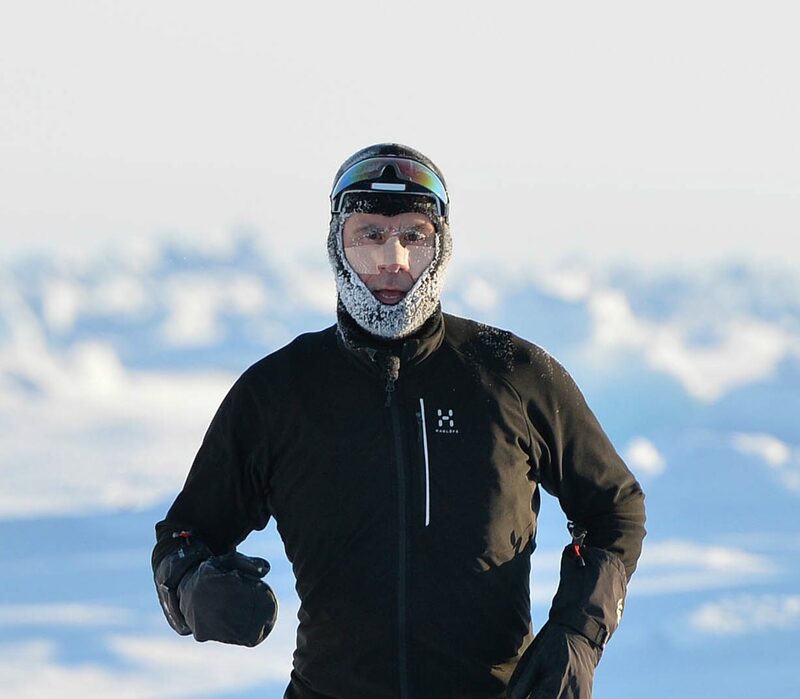 In the meantime I ran a marathon at the north pole, was finishing the 250km non-stop race in ireland, did manage the 5’400 meters of altitude at Swissman xtreme triathlon and won a silver medal at the swiss ultra-cycling event tortour with team sleepless. Year by year I am going now to add challenges that are pushing me to the next level. Results are far away from professional athletes and below those of the best amateurs in my age group. But that’s not the key. My goals are pushing me to leave my comfort zone. And there is no better feeling than finishing the toughest races with smile and full of endorphin. During the last two years I have realized that I like being closer to nature when racing racing. Ironman races are overcrowded and too commercial for me. The courses are flat, the ground tarred. I fully respect all those great athletes out there but I don’t like these races. I want to feel the nature, being challenged by it and being a port of it. Depending on the place, it’s racing with unpredictability and having the full power of nature in my naked face. And sometimes this moody old lady is slapping in my face. 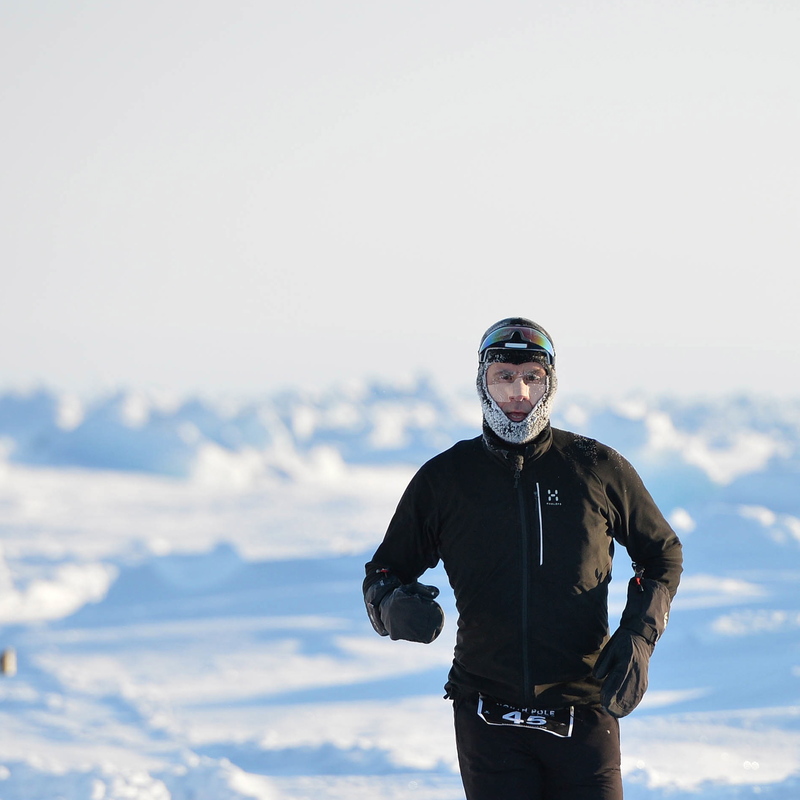 A good example for that was the North Pole Marathon where we had to run at -34°C, parts of it in deep snow and on shaky ground. The limits where in our heads. In these moments I’m getting humble and often running with tears in my eyes. Then it’s all about me, the challenge and the environment. And there is more to train for. As a cream on the cake there are the local people, different cultures and athletes from all over the world who are racing not only for glory but also to find their personal limits. And new friendship. Finisher Table at Camp Barneo after the North Pole Marathon: 10 people, 9 nations. Let’s see what the next year will offer. Here’s my race plan for the upcoming year. But there is an important side effect. Being a role model can also change the life of others – the one of your children. This is our youngster Olivia who became a pole vaulter after 7 years of karate. In february 2015 she got national champion in her first U18 year and second year of competition. She’s training up to 20 hours a week and competing all over in Switzerland. And here is Max, who became KSI Karate European Champion in Kumite (2009) and World Champion in Kata (2010). This was his last tournament at the Europeans in Helsinki (2013) before he finished with karate to focus on his education as a cook.